Elsa H. Jones, Administrative Law Judge, Office of Administrative Hearings, heard this matter on May 17, 2011, at Los Angeles, California. Student was represented by Jennifer Guze Campbell, Attorney at Law, and Jim Campbell, Advocate, both of the Special Education Law Firm. Student’s mother (Mother) was present throughout the hearing. Ana Maria Garcia, a California certified Spanish language interpreter, was present throughout the hearing to interpret the proceedings for Mother. 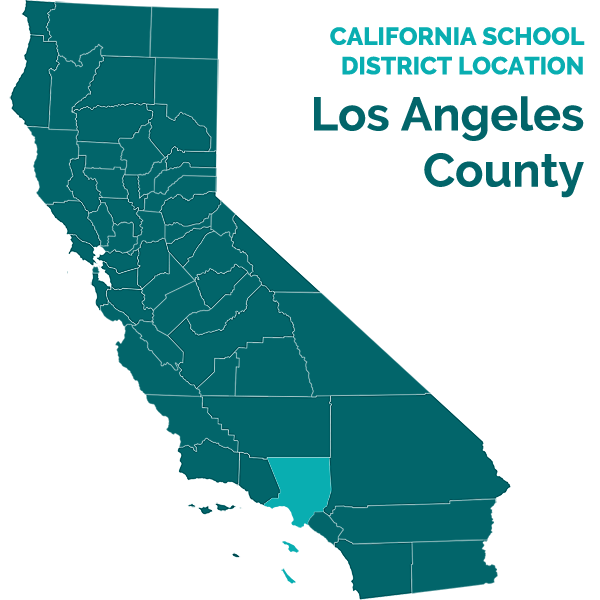 Los Angeles Unified School District (District) was represented by Patrick J. Balucan, Assistant General Counsel. Sharon Robertson, a Due Process Specialist for the District, was also present throughout the hearing. On February 2, 2011, Student filed his Request for Due Process Hearing (Complaint). On motion of the parties, the matter was continued on March 9, 2011. Sworn testimony and documentary evidence were received at the hearing. At the conclusion of the hearing, the parties requested the opportunity to file closing briefs. The parties were ordered to file and serve closing briefs by no later than 5:00 p.m. on May 31, 2011. The parties timely filed their closing briefs on May 31, 2011. On that date, the record was closed and the matter was submitted. Whether Student is entitled to an independent educational evaluation (IEE) at public expense in the area of adapted physical education (APE). Student requested the following remedies: (1) an APE IEE; (2) training for staff at Student’s school regarding the correct procedures for responding to pupils’ requests for IEEs; and (3) an Individualized Education Program (IEP) meeting within 30 days of completion of the APE IEE to review the results of the IEE. 1. Student is a 12-year-old boy who, at all relevant times, has resided in the District with his Mother. During fall 2010, he attended seventh grade in the District at the Lanterman High School Special Education Center (Lanterman). In December 2010, he transferred to John Adams Middle School (John Adams), also in the District. At all relevant times, he has been eligible for special education services as a student with autism. 2. District had been providing APE services to Student during fall 2010, in the form of specially designed physical education, and for several years prior to fall 2010. In October 2010, Joel Steingold performed an APE assessment of Student. Mr. Steingold has been employed by the District in various capacities for approximately 22 years, and has been employed as an APE teacher by the District for approximately 12 years. Mr. Steingold holds a B.A. in religious studies, with a minor in Spanish, from California State University, Northridge. He holds a multiple subjects teaching credential, with a bi-lingual emphasis in Spanish, and with a supplemental authorization to teach physical education (P.E.). He also holds an APE credential, and a visually-handicapped credential. 3. Mr. Steingold has known Student since Student was approximately six years old, as Mr. Steingold was Student’s APE instructor for several years while Student was enrolled in Salvin Elementary School (Salvin), the District elementary school Student had attended prior to attending Lanterman. Additionally, Mr. Steingold had seen Student occasionally on the Lanterman campus, because Mr. Steingold was also assigned to Lanterman. However, he was not Student’s teacher while Student attended Lanterman. 4. Mr. Steingold wrote a report of his APE assessment of Student dated October 12, 2010. He has had formal training in performing APE assessments. Mr. Steingold’s APE assessment consisted of a teacher interview, classroom observations, and a standardized assessment known as the Adapted Physical Education Assessment Scale (APEAS). The APEAS gives an overall perspective of a pupil’s motor skills. The APEAS was a central aspect of the District’s APE assessment, and the remainder of the assessment consisted largely of Mr. Steingold’s observations of Student, which were informed by his experience as Student’s teacher at Salvin and his observations of Student at Lanterman. 5. The APEAS is normed against a typical student population. It assesses skills in the areas of Perceptual Motor, Object Control, Locomotor Skills, and Physical Fitness. Mr. Steingold administered the secondary version of the test, as Student, who had just turned 12 years old at the time of testing, had aged out of the elementary version of the test. Mr. Steingold had never previously administered the secondary version of the test. Mr. Steingold administered the APEAS in accordance with the test instructions. He administered the APEAS to Student in approximately one hour, over the course of two days. On the APEAS, standard scores between 90 and 110 are considered to be in the normal range. A percentile rank means that the pupil is performing the task better than that percentage of typical pupils. In the area of Perceptual Motor, Student’s standard scores ranged from a high of 100 (55th percentile) on the Imitation of Postures subtest, to a low of 94 (27th percentile) on the Stand Balance Left Closed subtest. In the area of Object Control, Student’s standard scores ranged from a high of 109 (84th percentile) on the Kick for Accuracy subtest, to a low of 93 (25th percentile) on the Catching subtest. In the area of Locomotor Skills, Student’s scores ranged from a high of 104 (66th percentile) on the Skipping Form subtest, to a low of 103 (63rd percentile) on the Running Form subtest. In the area of Physical Fitness, Student’s standard scores ranged from a high of 113 (91st percentile) on the Agility Run subtest, to a low of 85 (8th percentile) on the Bent Knee Curl-Up subtest. Student’s score on the APEAS reflected that he could perform eight standard push-ups, which corresponded to a standard score of 99 (55th percentile). The APEAS assessment automatically calculated Student’s Body Mass Index (BMI) as 27.2, based upon Student’s height of 63 inches and weight of 153 pounds. Student’s BMI placed him outside of the BMI Healthy Zone. 6. Mr. Steingold’s report noted that Student required occasional reminders to interact with peers, and that Student occasionally needed a rest break. He was able to comprehend rules and/or strategies with minimal supports, and he was able to manage his behavior during group activities with minimal supports. At the time of the assessment, Mr. Steingold’s report stated that Student was receiving specially designed P.E., with no specific goals. Mr. Steingold’s report affirmed that Student was cooperative and the assessment results were a valid indicator of his performance. The report noted Student’s areas of strength in ambulation, throwing, catching, and kicking, and areas of need as balance and push-ups. Mr. Steingold’s report concluded that Student did not require APE services to assist him to benefit from specially designed instruction. 7. District convened Student’s IEP meeting on October 21, 2010. The IEP team included Mother, her advocates Jim Campbell and Wiley Campbell, Christina Cisneros (a District Administrator), a special education teacher, a school nurse, an occupational therapist, Brenda Brand (an APE specialist), a speech and language specialist, and the District’s attorney, Susan Winkleman. 8. The IEP team reviewed Student’s assessments to determine his present levels of performance. Ms. Brand discussed the APE assessment report, and reported to the IEP team that Student’s scores on the APEAS placed him slightly below grade level in general P.E. The team recommended that Student continue in APE, and set an annual goal in APE. The goal required Student to perform three sets of ten repetitions of push-ups from his toes with his head reaching one inch above the mat 80 percent of the time, in four out of five trials. The team set two benchmarks for the goal, one of which required Student to perform one set of six push-ups from his knees with his head reaching one inch above the mat 80 percent of the time, and the second required Student to perform two sets of eight push-ups from his toes with his head reaching one inch above the mat 80 percent of the time. 9. The District’s placement offer at this meeting included transferring Student from Lanterman to John Adams. The team decided to reconvene the IEP meeting at a later date so that Mother could visit John Adams. The team also intended to consider the APE assessment again and to discuss other issues at the reconvened IEP meeting. 11. During the meeting, Mr. Steingold reported that Student was functioning much higher than his peers at Salvin or Lanterman. Mr. Campbell, Student’s advocate, requested an IEE for the APEAS. Ms. Winkelman, the District’s attorney, responded that the District would respond to the request in writing. In response to questioning from other IEP team members, Mr. Campbell specified that he did not want the APEAS to be re-administered by District personnel. Mr. Campbell advised the team that Mother was requesting the IEE because it was only the first time that Mr. Steingold had administered the secondary version of the APEAS, and Student did not believe that Mr. Steingold had administered it correctly.1 At hearing, Mother testified that she did not have confidence in the quality or accuracy of the APE assessment report. She did not believe that Student had the ability to perform the eight standard push-ups that the APE assessment reflected he could perform, or that he had as much physical ability as the APE assessment results demonstrated. 1 Mr. Campbell’s comments at the IEP meeting specifically referred to the APEAS, as did the IEP meeting notes regarding Mr. Campbell’s request for an IEE. The weight of the evidence at hearing and the parties’ arguments at hearing and in closing briefs reflect that both parties understood Student’s request for an IEE to encompass a request for an APE IEE, and not a request for an IEE only with respect to the APEAS. 12. The IEP team recommended that Student receive APE at John Adams. The team also recommended other related services, such as counseling, and that Student be placed in a mild/moderate special day class (SDC) at John Adams. Mother consented to the IEP. 13. District did not respond to Student’s request for an APE IEE after the November 4, 2010, IEP meeting. In December 2010, Student began to attend John Adams, pursuant to the IEP. He received APE there. District convened an IEP meeting on January 26, 2011, to discuss issues. Mother, through her attorney and advocates, had presented to District regarding Student’s adjustment to John Adams. During the January 26, 2011, IEP meeting, Student’s APE teacher, Mr. Martinez, reported that Student performed better than the other pupils in the class. At the meeting, District offered Student another District-performed APE assessment, instead of an IEE. On January 28, 2011, Karolyn Mimura, the Bridge Coordinator and Testing Coordinator at John Adams, faxed to Jennifer Guze Campbell, Mother’s attorney, an assessment plan for an APE assessment to be conducted by the District. The assessment plan was written in Spanish. At the time Ms. Mimura sent the assessment plan, she was aware that Mother had requested an APE IEE. Mother did not sign this assessment plan. 14. Between November 4, 2010, when Mr. Campbell requested an IEE, and February 2, 2011, when Student filed his Complaint, the District did not offer Student an APE IEE. By letter dated February 11, 2011, after Student filed his Complaint, Sharon Robertson, the District’s due process specialist, wrote to Mother in response to Student’s Complaint. The letter specifically stated, “At this time, your request for an IEE in APE is being denied.” At no time did District file a due process hearing request to establish that the District’s APE assessment was appropriate. 2. Student contends that he disagreed with the District’s APE assessment, and he requested the District provide an IEE at public expense. Under those circumstances, Student contends that District was obligated to, without unreasonable delay, either pay for an IEE or file a due process hearing to demonstrate that its APE evaluation was appropriate. Since District took neither of those actions, Student contends that he is entitled to an IEE. Further, Student contends that the District’s failure to offer an APE IEE deprived him of a free appropriate public education (FAPE), because Mother could not meaningfully participate in educational decisions regarding Student without an APE IEE. 3. District contends that it demonstrated at hearing that District’s assessment was appropriate, and that Student did not demonstrate that the District’s APE assessment was not appropriate. District concedes that its failure to offer an APE IEE from November 4, 2010, through the date Student filed his Complaint “likely” constituted an unreasonable delay, but asserted that Student was not prejudiced by the delay. District contends that its failure to offer Student an IEE at public expense did not deprive Student of a FAPE, did not deprive Mother of the opportunity to participate in the development of Student’s IEP, and did not deprive Student of any educational benefits. 3All references to the Code of Federal Regulations are to the 2006 version, unless otherwise stated. 12. In this case, the law required that the District do one of two things, without unnecessary delay: (1) initiate a due process hearing to show that its APE assessment was appropriate; or (2) provide an APE IEE at public expense, as requested by Mother. District did not agree to conduct an APE IEE, and did not file a due process complaint to defend the appropriateness of its assessment, during the 90-day period between November 4, 2010, when Student first requested an APE IEE, and February 2, 2011, when Student filed his Complaint. District did not agree to conduct an APE IEE thereafter through at least February 11, 2011. The evidence was uncontradicted that Student, through his advocate, disagreed with the District’s APE assessment, and that Student’s advocate requested an APE IEE at the November 4, 2010, IEP meeting. The evidence was uncontradicted that the District’s counsel, Ms. Winkelman, acknowledged the request and advised that the District would respond to the request in writing. The evidence was uncontradicted that, at the same IEP meeting, the Student’s advocate refused the District’s offer of another APE assessment to be performed by District personnel. The evidence was uncontradicted that the District did not offer an APE IEE at public expense at any time prior to the time that Student filed his Complaint. Rather, on January 28, 2011, the District offered only an APE assessment to be conducted by District personnel. 13. In their closing briefs, the parties debate whether the District’s failure to provide an APE IEE constituted a denial of a FAPE, and deprived Mother of the ability to meaningfully participate in the development of Student’s IEPs. The IDEA and the Education Code do not specifically condition the District’s obligations regarding requests for IEEs at public expense on a finding that Student required the IEE to receive a FAPE or to allow Mother to meaningfully participate in Student’s IEP meetings. However, as was stated in Legal Conclusion 5, above, violations of the IDEA’s procedural safeguards that significantly impede Mother’s ability to participate in the decision making process do constitute a denial of a FAPE. In this case, Mother’s concerns regarding the quality and accuracy of the District’s assessment report, and the total failure of the District to respond to her request for an APE IEE in the manner required by law, significantly impeded her ability to understand her child’s unique needs, and therefore significantly impeded her ability to participate in IEP meetings and to be involved in the development of an IEP that met her child’s unique needs. 15. Based upon Findings of Fact 1 through 14 and Legal Conclusions 1 through 14, District failed, without unreasonable delay, to (1) offer Student an APE IEE at public expense, or (2) file a due process complaint to defend the appropriateness of its APE assessment. District’s conduct deprived Student of a FAPE, because it significantly impeded Mother’s right to meaningfully participate in the IEP process. Consequently, Student is entitled to an APE IEE at public expense, and an IEP meeting thereafter to discuss the results of the IEE. 16. In addition to the APE IEE at public expense, Student’s Complaint requested that the District be ordered to train the staff at Student’s school regarding the procedures to follow in responding to a pupil’s request for an IEE. Student offered no evidence that this remedy was appropriate or necessary for Student to obtain relief in this matter, or that any staff at either Student’s former school or current school was unaware of those procedures. In particular, there was no evidence that any such staff member routinely failed to appropriately respond to requests from its pupils for IEEs. 1. Student shall receive an APE IEE, to be performed by an assessor selected by Student, at public expense, consistent with District criteria. Within five business days of District’s receipt of this Decision, District shall provide Student with agency criteria for conducting the assessment, including agency criteria, if any, concerning the reasonable cost for conducting the assessment. 2. District shall pay for the IEE within 30 calendar days of receipt of the independent assessor’s written demand for payment. 3. District shall convene an IEP meeting to discuss the IEE within 30 calendar days of the District’s receipt of the assessor’s report of the IEE, not counting days between the Student’s regular school sessions, terms, or days of school vacation in excess of five school days. Education Code section 56507, subdivision (d), requires that this Decision indicate the extent to which each party prevailed on each issue heard and decided in this due process matter. Student prevailed on the only issue heard and decided in this matter.